The Manufacturing Association of Nigeria (MAN) is set to hold its Manufacturing Partnerships for African Development (mPAD) & inaugural Nigeria Manufacturing Expo (MAN Expo) at the Landmark Centre in Lagos state from the 15th to 17th of March, 2016. At this event, the association will meet to discuss various possibilities on how to improve the manufacturing sector in the country. Thousands of Nigeria’s leading manufacturing experts will be present as this year’s edition is a direct response to the proclaimed commitment of the Muhammadu Buhari led administration to diversify Nigeria’s economy as a result of the fall in oil prices. The event will play host to several international and local manufacturers including Cadbury Nigeria, Kautex Maschinenbau GmbH, Nestlé Nigeria, Procter and Gamble and many others. The MAN leadership has indicated commitment to changing the current outlook of the country’s manufacturing sector, promising to take it to greater heights. “My vision is to see a Nigerian manufacturing sector that is developing and achieving a GDP growth of 5 percent per annum for the next four years,” said Reginald I. Odiah, Chairman, MAN’s Economic Policy Committee. 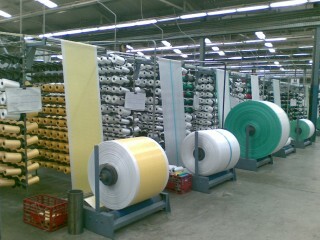 It was indicated, last year, that the Nigerian manufacturing sector was not as productive as it used to be. According to Leadership newspaper, the country’s real Gross Domestic Product (GDP) fell to 2.84 percent in the third quarter of 2015, compared to 6.23 percent in the same period in 2014. The MAN Expo will focus on rebuilding the sector by providing a platform where businesses in the country can interact and come up with ways to increase output in the sector as well as provide a definite path to allow the government build on implementing a diversification of the country’s resources. One of the ways MAN can ensure proper implementation of its agenda, is by lobbying the government for better power generation in the country. If the epileptic electricity generation in the country does not improve, the status quo will certainly not improve either.